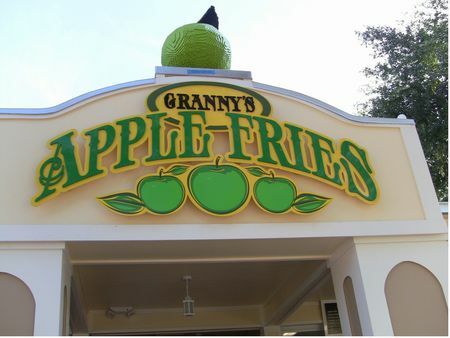 Granny's Apple Fries is a counter service restaurant in Fun Town at Legoland Florida. It's a top quality meal. Granny's Apple Fries are dusted with cinnamon and sugar, and served with vanilla dipping sauce.